If you find any SPAM or any problem from the forum, please PM Tomy. Thanks. 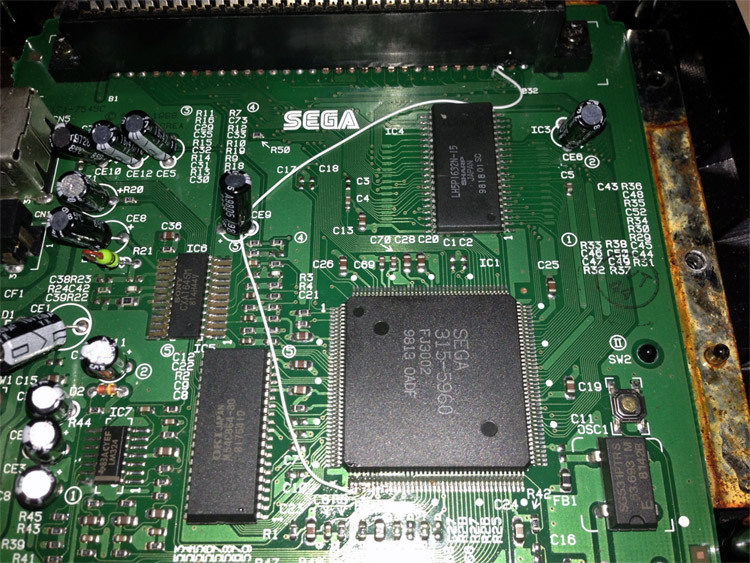 After reading that the Super Magic Drive runs its bios software in Sega Master System 8bit mode, it became clear as day why the SMD is incompatible with Genesis Model 3 consoles- the functionality was removed! Unfortunately, it is unknown how to restore the functionality in V02 motherboards, but below is the procedure for V01 motherboards (ASIC 315-5960).